I have imported a .stl file and want to work on it with my Cura. When I import it onto the program it is a a steep angle to the surface and not laying flat. How can I rectify this. The orientation depends on the orientation when the files was exported as STL. So if it is not laying flat it was also not in the right direction in the CAD software. 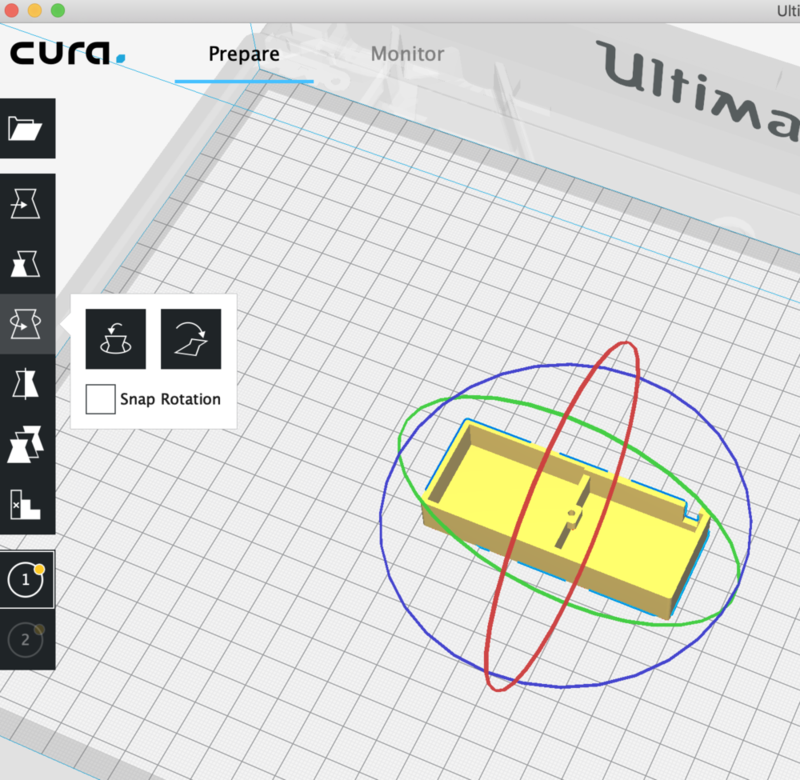 But it doesn't matter, you can freely rotate your object in Cura as you like and also push the button by the rotate tool in the left menu, to put the model flat on the bed. I do not see the left hand side menu. That is what I need. Can you help. This is what I mean. 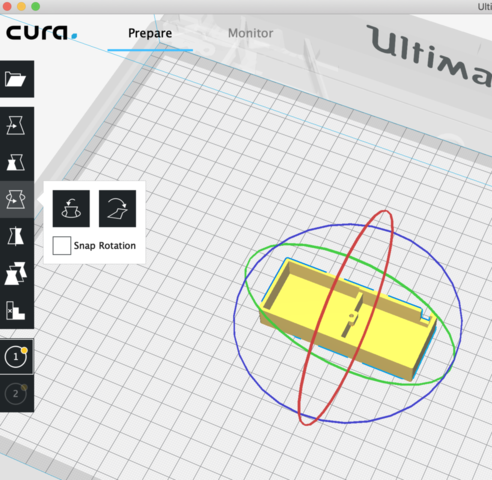 If you don't have that menu, then you should consider reinstalling Cura, because it should be always there. I will reinstall thank you. The buttons are showing but are not lit up and so cannot be activated. I have it now thank you for your help!! !